Fjord Line has signed an agreement with paint manufacturer Jotun, for the use of the Vindal site as new terminal for in the port of Sandefjord, Norway. Vindal is an area on the “West Island” or “Vesterøy”. With a growth of 15% per year and the use of one or two ferries as from 2020, the company was looking for a port solution. On the site, a terminal building, quays, parking spaces for private cars and trucks will be built. In and around a lot of attention will go to green areas. The port will also be available to other companies, such as competitor Color Line. The port will be organized as a separate company in the Fjord Line group. “Other shipping companies can purchase services of this port company on normal and transparent commercial terms,” says Fjord Line’s CEO Rickard Ternblom. 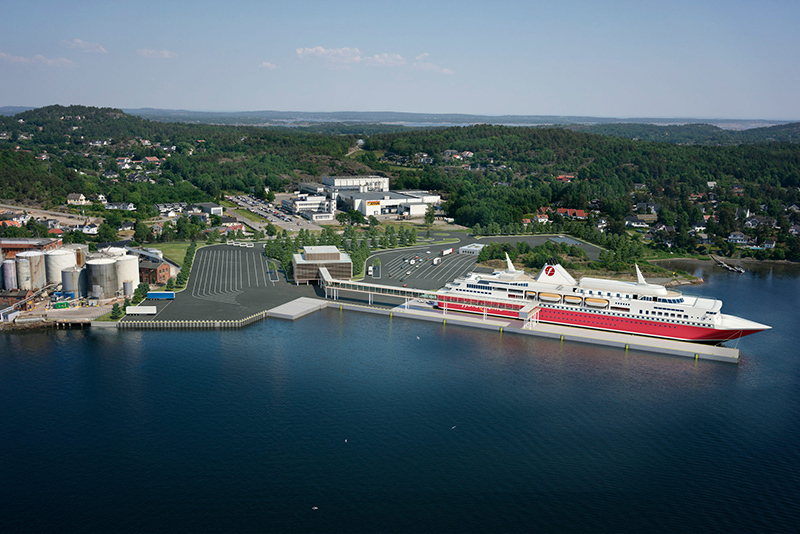 The new ferry harbour and terminal should be ready before 2025.